Neutrals have always played a big part in my style and wardrobe so I couldn’t be happier when I saw that it was one of the biggest trends this spring season. Designers like Burberry, Max Mara and Chloé lit up the runways in head-to-toe neutrals. 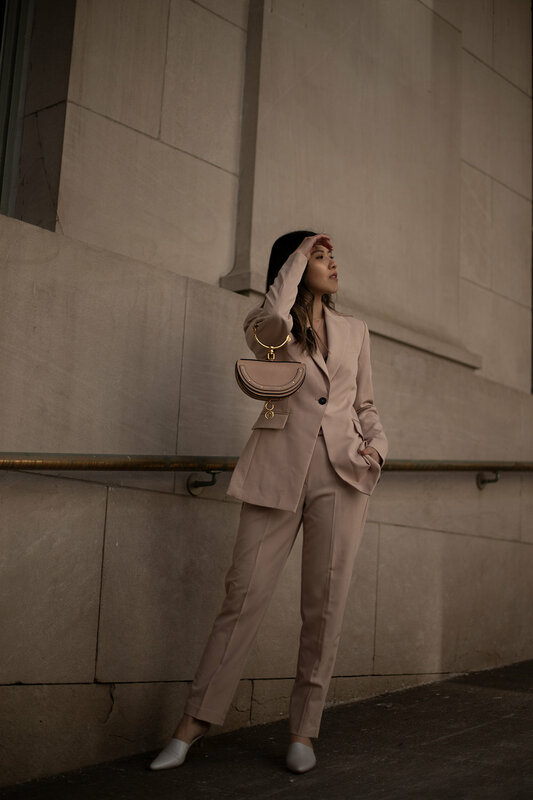 I wanted to replicate the style with a full-on beige suit—similar to my Chloe nile minaudière bag, this one arrived with a slight pinkish tone. Pallas carries a similar blazer and pants in a similar blush-beige tone. 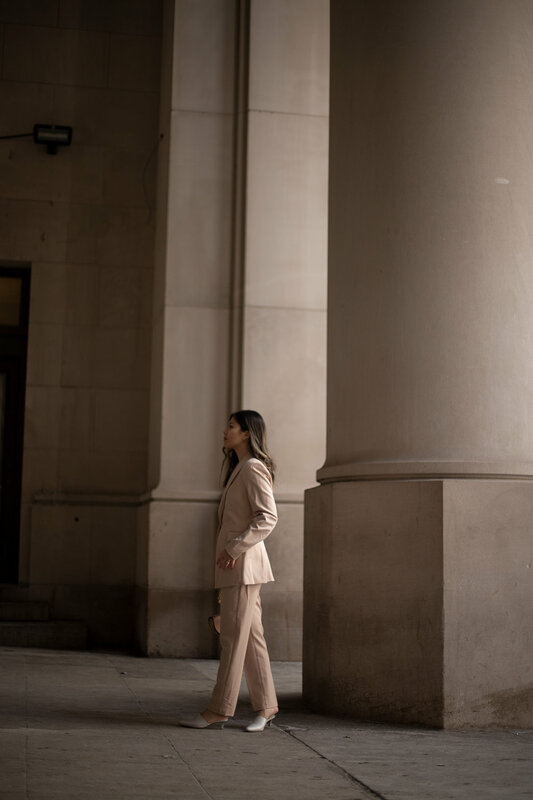 I paired the beige suit with a pair of mules by Maryam Nassir Zadeh and an adorable mini bag from Chloé. Investing in beige or any neutrals is sort of a no-brainer because they’re understated and classic, meaning that they will never go out of style. Another trend that I’m excited about is the new utilitarian—the loose fitting pieces and lighter palette is a breath of fresh air. Isabel Marant Etoile, Tibi and Vince leaned into this both fashionable and functional trend in a big way and I’m in absolute love with the new military-inspired pieces!